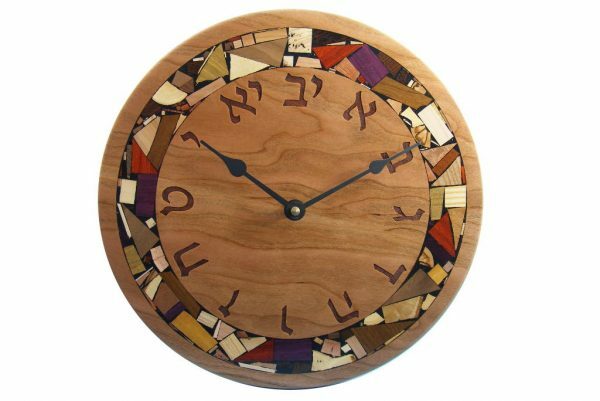 This contemporary wooden Clock with Hebrew Numerals is decorated with Etz-Ron’s signature all wood, naturally colored, wooden mosaics. 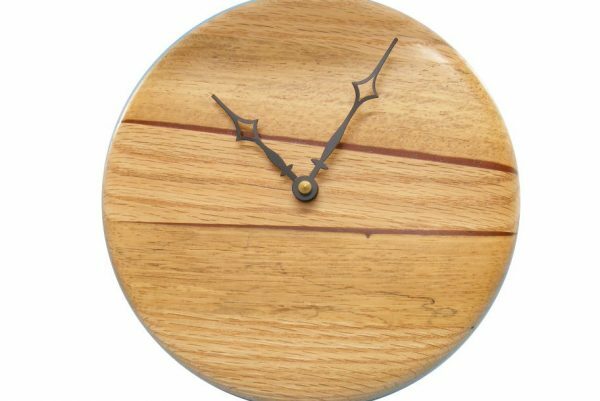 There are no paints used in or on this beautiful wall clock. 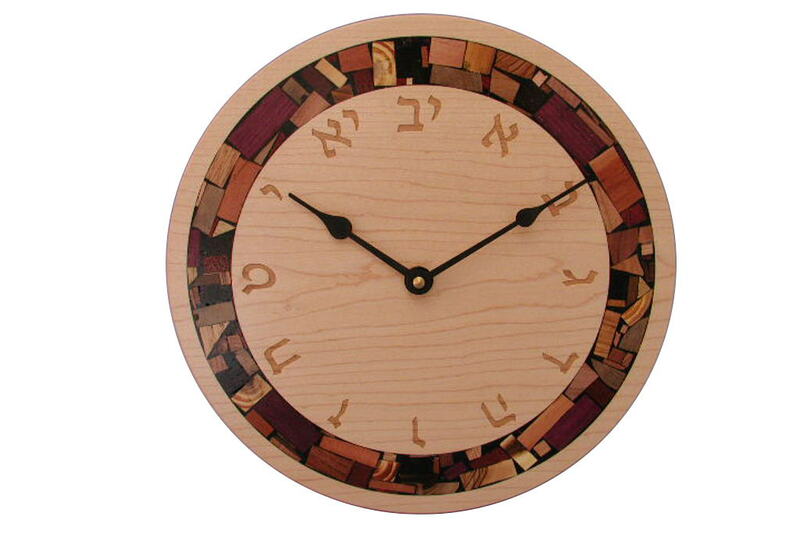 Each clock, and all my work, is unique due to the fact that every wood piece in the mosaics is hand inlaid. The colors you see are the natural colors of the woods! This clock face is further decorated by the Hebrew numerals of 1-12 , which are lazered on the clock face, and big enough to see from afar. The clock measures about 12″ D and is about 3/4″ thick. It has a quartz clock movement that runs on an AA battery (not included). The entire clock hangs off the clock movement, so all you need is a single nail in the wall to hang it. 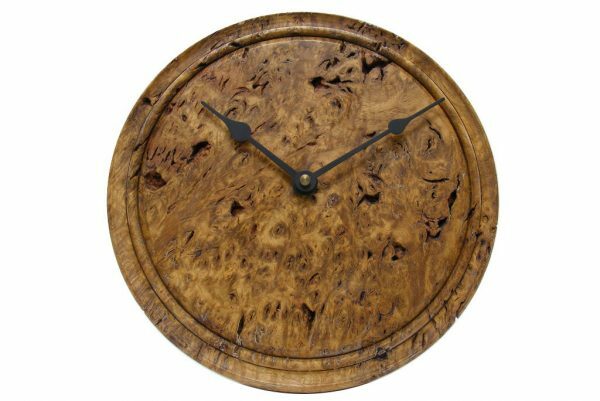 This clock is made from grande wood. Many other woods are available as well, but must be custom ordered. Contact me. For special needs or alterations of this clock, Contact Me.